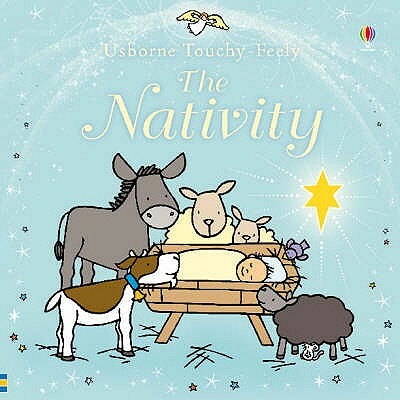 Touchy-feely Nativity is a gorgeous new Christmas edition from the popular and creative Usborne Touchy-Feely team. Charming illustrations by Rachel Wells accompany a delightful, tactile retelling of the Christmas story by Fiona Watt, complete with fluffy donkeys, woolly sheep, a glittering angel and, of course, the baby Jesus sleeping in his soft blanket. Touchy-feely Nativity makes the perfect present for young children who are experiencing Christmas for the very first time. The Nativity by Fiona Watt was published by Usborne in August 2008 and is our 13898th best seller. The ISBN for The Nativity is 9780746098349. Be the first to review The Nativity! Got a question? No problem! Just click here to ask us about The Nativity.